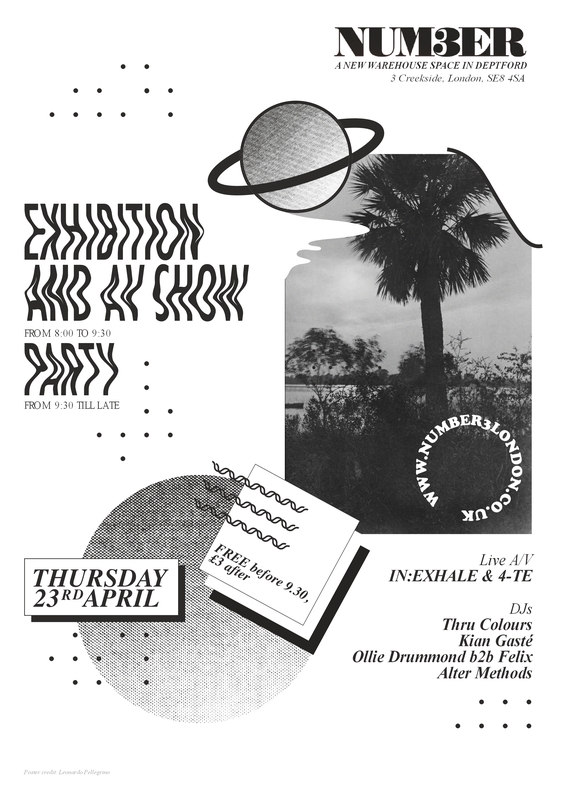 Following the Music Art Photography Technology Massage Film Word and Theatre pop-up big bang of #No3Expo last month, the UK’s newest ideas factory hub unites DJs and visual artists this month for an exhibition and AV show party on Thursday the 23rd. Next month the Number3London warehouse gallery is the setting for Draw To Perform – a live performance, international art symposium which takes place on Saturday 16th and Sunday 17th May (free entry) and also includes talks and a gathering of global creativity over the weekend. Great artists from all over the world will participate. It is open to the public and provides a fabulous live art experience to all art lovers. 23rd April Exhibition and A/V Show Party facebook event. 16th and 17th May Draw To Perform facebook event. Posted in art, musicTagged art, DJs, exhibition, international, number3london, symposium, visualsBookmark the permalink.